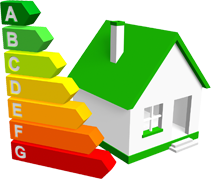 Welcome to EPCscottishBorders.com , we are a company based in the Scottish Borders , we offer an Energy Performance Certificate (EPC) for your property for a fixed price of £25. The £25 fee includes both the survey of your property and the production of the EPC certificate. If you wish to order an EPC from us, then please contact us using the details on our contact page. Once you have contacted us we will visit your property at a pre-arranged time and carry out the survey of your property. The survey will take approximately 30 minutes, within 3 working days of the survey you will be issued with an EPC for your property. The cost of all of this is fixed at £25.